Aside from some foul cutting material, Winnebago methamphetamine and pharmaceutical amphetamine are kissing chemical cousins. The difference between them boils down to one methyl-group molecule that lets crank race a little faster across the blood-brain barrier and kick just a little harder. After that, meth breaks down fast into good old dextroamphetamine, the dominant salt in America’s leading ADHD drug and cram-study aid, Adderall. Writing as someone who has consumed his share of product from both buckets (more about which below) I can attest that the difference between Adderall and street crank is much overstated, bordering on complete social fiction. This is not exactly a state secret. After legal speed started its comeback as a treatment for Attention Deficit Disorder, The Journal of Neuroscience published a study that functioned as a polite tap on the shoulder. Amphetamine and methamphetamine, the researchers wrote, are “about equipotent” and “produce qualitatively similar behavioral responses.” Both excite the central nervous system in nearly identical ways, flooding and blocking dopamine, serotonin, and adrenaline receptors. Also, meth is meth is meth. The brain responds the same whether it’s produced by the Sinaloa boys and slung by the gram-baggie as glass, or made by Lundbeck Inc. and sold in orange bottles at CVS as the meth-based ADHD drug Desoxyn®. Do they also have a hand signal for “banana”? The results of this split-screen speed fallacy have begun to come in. One-in-five American teenage boys have received an ADHD diagnosis; the adult market for prescription amphetamines is in boost phase, up by half since 2008. A growing number of prescription speed users are arriving at ER rooms and rehab centers across the country. 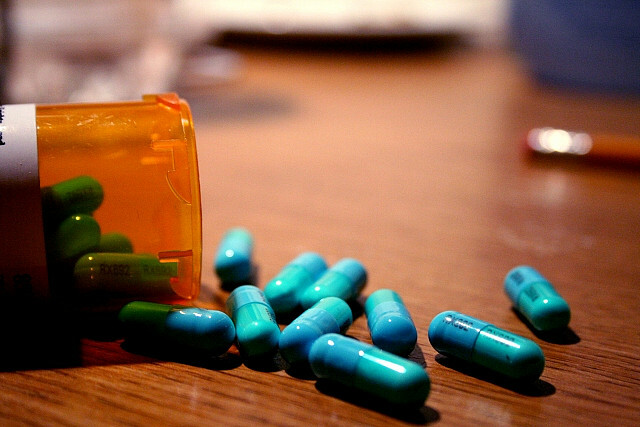 Dr. Lawrence Diller, author of Running on Ritalin, notes that amphetamines haveovertaken opiates as the leading cause of admission to California addiction clinics. The ADHD drug industry response to this latest trophy-stat is hopefully more subdued than its likely reaction to surpassing diabetes drugs in 2012 as the country’s fastest growing drug category. For those who can’t afford rehab, addiction forums like QuittingAdderall.com are popping up. New women users are driving the speed boom. In March, Express Scripts, which monitors industry trends, issued a report showing that women aged 26 to 34 have become the fastest growing market segment with an 85 percent increase in ADHD drug prescriptions over the last five years. The age bracket beneath them, female millennials, has spiked sharply in ADHD diagnoses over the same period. When the World Health Organization studied America’s postwar speed crisis at its height, it concluded the dangers of amphetamines outweighed their benefits in general medical practice. Every industrial nation agreed with this assessment, including the United States, and changed its laws accordingly. Among the social convulsions of the 1960s was a speed backlash that took the form of critical press, public outrage, and Congressional hearings that led to limits on the production, marketing, and sale of amphetamines. To see the future of America’s speed epidemic, you can study past speed epidemics. Or you can follow the travelling medicine show of Dr. Patricia Quinn. Both routes take you within view of the same hundred-car pileup. Over the last 20 years, Quinn has emerged as a leading ADHD expert. A staple of the lecture circuit, she is the author of several books and appears regularly on national television. Like most of her peers in the incestuous network of pharma-funded ADHD organizations and websites, she fronts for drug manufacturers. Over the years she’s worked as a consultant and speaker for Shire, Noven, andJanssen Pharmaceuticals. These companies sell amphetamines. The breakout demographic for these drugs happens to be young women: Quinn’s specialty. Her professional life revolves around concern that American women and girls aren’t consuming their fair share of the 200 tons of speed this country swallows annually. That the population of women seeking ADHD diagnoses is rising so quickly is validation of her life’s work. The new industry numbers haven’t slowed Quinn or her comrades working to persuade women and girls to seek treatment for symptoms of ADHD. Quinn’s websiteADDvance.com—“We’re here to help you learn to spread your wings and fly!” — offers the self-diagnostic quizzes peculiar to ADHD marketing. Quinn’s bio explains that she founded a group called the National Center for Girls and Women with ADHD. We’ll have to trust her, because the outfit doesn’t have a website. This is a curious commonality among female-oriented ADHD groups. The link to Dr. Kathleen Nadeau’s National Center for Gender Issues and ADHD takes you to a site promoting a different product line, e-cigarettes, in particular, a model called the Ave 40 Vape. As of this writing, Nadeau’s corporate runners haven’t bothered to change the ADD group’s acronym in the URL. 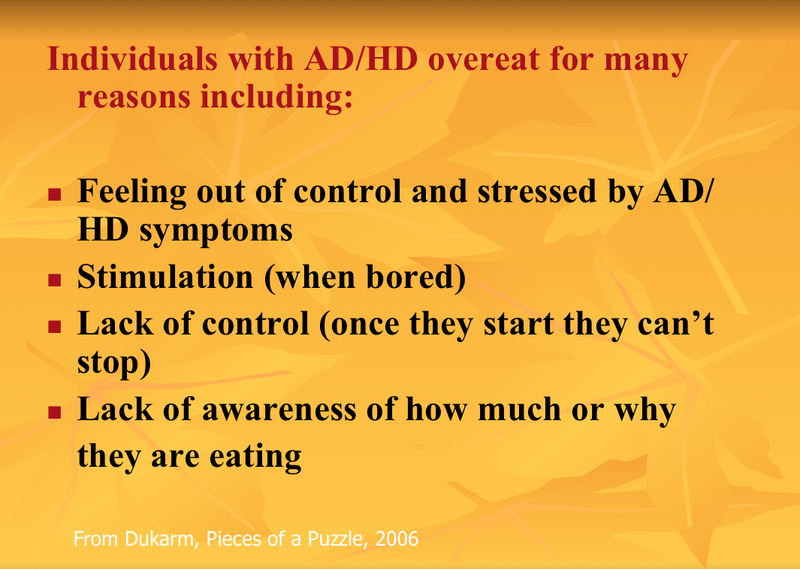 Whether or not these ADHD centers ever existed, the letterheads provide a veneer of legitimacy to touring advertorial slide shows like Quinn’s, titled “AD/HD in Girls and Women: The Hidden Disorder.” Quinn’s female audiences don’t always learn about her financial ties to the companies selling the drugs she praises. Nor do they learn that speed is the earliest known synonym for the addiction spiral, the modern textbook understanding of physiological dependence and tolerance having come from studies of amphetamine’s effects on dopamine. Quinn’s slide show also fails to mention that speed once provided researchers with their best experimental simulation of schizophrenia. During the 1960s, researchers concluded that habitual amphetamine use produced a more accurate “model psychosis” than LSD. Manufacturers of legal speed have never settled for a market limited to hyperactive boys, any more than an outlaw meth operation would limit its clientele to long-haul truckers. Indeed, pharma’s exertions in growing the speed market are as old as the first amphetamine patent. In the mid-1930s, less than a decade after the first synthesis of amphetamine, the psychiatrist Charles Bradley conducted experiments with the Benzedrine salts produced by Smith, Kline & French. His conclusion was ahead of its time. The drug’s most promising medical use, reported Bradley, was a schoolhouse treatment for “problem” children. SKF didn’t like the numbers. Myerson’s body of work, including the book “The Nervous Housewife,” provided the intellectual and commercial foundation for marketing speed to the general public — especially women. SKF sent mailers citing Myerson’s work to tens of thousands of general practice doctors. The company recommended their marvelous new drug as a treatment for as many as 39 conditions, including hiccups. As with today’s industry-funded ADHD websites, these pamphlets made scant or zero mention of the known risks of addiction, depression, anxiety, and psychosis. Myerson’s Depression-era work for SKF began something of a crimson tradition. His legacy lives on today in the form Harvard Professor of Psychiatry Joseph Biederman, a key thought leader in the growth of ADHD meds who was censured in 2008 by the National Institutes of Health for concealing millions of dollars of pharma consulting income. 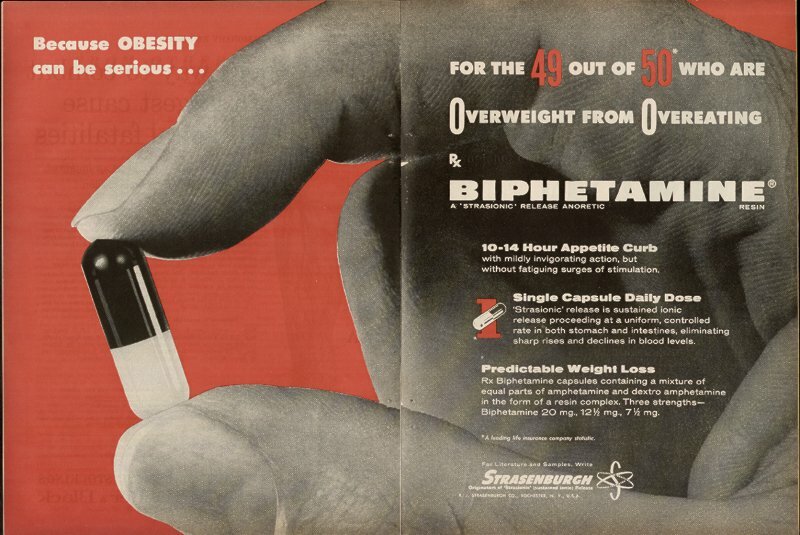 An early magazine ad for the weight loss drug biphatemine. Image: Public domain. Speed became a huge commercial success after the war. During the ‘40s, ‘50s and ‘60s, amphetamines were widely used across all social strata. But its biggest profits came as a socially sanctioned tool to help American women shed pounds and “stay pepped” while grinding out lives in the Cold War suburbs. The nation consumed a wide variety of patented amphetamines, from the bestselling Benzedrine, Dexedrine and Dexamyl, to any number of generic copycats. More than a few of these brands contained methamphetamine. By 1970, nearly 10 percent of American women regularly used or were dependent on some form of amphetamine, most prescribed for weight loss. In his book Speed-Speed-Speedfreak, Mick Warren reminds us that hooked housewives and twenty-something women were established cultural tropes, the sirens in songs like the Rolling Stones’ “Mother’s Little Helper” and Canned Heat’s “Amphetamine Annie.” Beginning in the mid-1960s, media exposés in Ladies Home Journal and other magazines fed calls for Congressional action. High-profile hearings followed. These led to the Controlled Substances Act and the classification of amphetamines, against fierce industry resistance, as a Schedule II drug defined by the high risk of addiction and potential for abuse. For the first time, federal limits were placed on annual speed production. With help from friends in Congress, those quotas have been steadily loosened in recent years, and are now approaching pre-1970 levels. The 1970 Act signed by Richard Nixon is no model for rational drug policy. But the hearings that led to it got some important things right. Looking back, one is struck by the realism that defined the proceedings that concerned speed. There was no dual-frame separating “good” medical and “bad” street speed. Anyone attempting to use two categories for the same drug would have been laughed at, or greeted as a marketing visionary from the future. In the late 1960s, pharma produced as much as 90 percent of amphetamine sold on the street, and everyone knew it. In 1964, a CBS news team used crudely faked letterhead to procure hundreds of thousands of speed pills from major companies for a few hundred bucks. Walter Cronkite ended the report with a slap at leading “seemingly innocent” manufacturers. Sometimes pharma just dumped product directly onto the black market. Strasenburgh, maker of the popular Adderall-precursor known as Black Beauties, was fined repeatedly for pill diversion, including a bulk delivery to the 11 th hole at a golf course in Tijuana. IN EVERY DIMENSION OF TODAY’S SPEED BOOM—CHEMISTRY, HISTORY, ECONOMICS—”SPEED” IS THE ONLY CREDIBLE NOUN. Matlen’s recent clients include the makers of leading speed brands. But since she acts as more of a fixer, and doesn’t actually prescribe the pills, she sees these relationships as irrelevant to her integrity as a therapist. “I am not compromised by ties to companies that make ADHD treatments—medications—as I cannot prescribe medications,” Matlen told Motherboard. In Orlando, ADDA will officially celebrate 25 years in existence. The group will unofficially celebrate much more. After decades in suspended animation, the adult speed market is finally back on its feet, feeling pepped, and ready to go. A long-term strategy of cultivating professional societies, primary care doctors, the media, and political allies has paid off. From the beginning, the secret weapon of this strategy has been women like Quinn: pseudo-scientific quiz givers who talk like Oprah, who claim to suffer from ADHD and “get” you, and who have a little something that just might help you shed those pounds, manage house, and keep the blues at bay. Anyone seeking to understand the treachery behind today’s medical-industrial ADHD complex should begin with Nicolas Rasmussen’s essential history, On Speed: The Many Lives of Amphetamine. Rasmussen, a science historian at the University of South Wales, tells a story that ought to inform every media treatment of the subject, but never does. When it comes to speed, the national amnesia is stronger than crank. Ryan D’Agostino’s recent Esquire feature about ADHD, “The Drugging of the American Boy,”dispatched with the history of speed in two references: 1955, the year Ritalin was patented, and 1987, when the American Psychiatric Association codified ADHD (as opposed to ADD). Otherwise, it’s as if we just discovered fire. 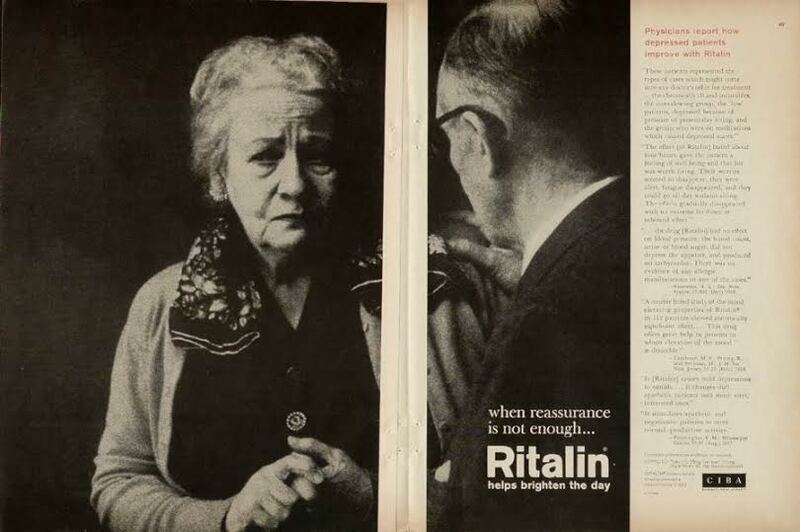 An early Ritalin ad. Image: Public domain. This amnesia results in delusional and dangerous diction. Americans love the word “speed.” We use it in movie titles, video games, ads for broadband, and pizza delivery. Its etymology even echoes the national mythos. The Old English “sped,” from which the modern noun derives, meant “success, prosperity, wealth, luck, opportunity, advancement.” This origin captures all the reasons speed is the quintessential American drug. It also suggests a perilous lexicon. 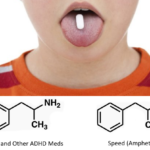 Articles about ADHD drugs are fine talking about success, work, competition, and advancement, but try finding one that calls the drug by its name: Speed. The word simply eludes us when we try to figure out why Johnny Prep is being rushed to ER. When our speed comes in a bottle covered by Blue Cross, we call it “medicine”; when it’s Blue Meth in a baggie, we don’t just call it a “hard drug,” we send out the SWAT team, declare “National Methamphetamine Awareness” day, and gawk in titillation at the poor, uninsured tweakers on basic cable. Consider Alan Schwarz’s damning December 2013 New York Times investigation, “The Selling of Attention Deficit Disorder.” The story exposed pharma’s systematic decades-long efforts to expand the market and appeal of ADHD drugs. As strong as the piece is, Schwarz sticks to industry-approved marketing vernacular. The piece deals only with “medicine” and, at the far end, “stimulants.” Despite his intimate knowledge of “off-label” speed casualties, not once does Schwarz use the word “speed,” or reference the “Speed Kills” campaign of his childhood. Flinching language even undermines first-person essays that attempt to traffic in blunt honesty. Kate Miller wrote for the Times “Anxiety” blog about faking an ADHD diagnosis and becoming addicted to Adderall. The piece ends with Miller flushing her “remaining medicine” down the toilet. In every dimension of today’s speed boom—chemistry, history, economics—“speed” is the only credible noun. Only “speed” captures what amphetamines feel like and what they do to the brain. Only “speed” implies the crash, which defines the drug as much as the high. Only “speed” connects today’s corporate amphetamine sales to those of yesterday. “Speed” alone bridges the imaginary gap separating Walter White’s product and Shire’s. FOR THOSE WHO HAVE NEVER TAKEN SPEED, IT’S DIFFICULT TO CONVEY THE SERIOUSNESS OF A PUBLIC HEALTH DISASTER. The paper does not dwell on the distinction between street and pharma product, because this distinction is narrow and beside the point. It was born with the rise of ADHD meds and the (arguably not coincidental) concurrent national hysteria around dirty street meth. The distinction has over the years hardened into a thick plexiglass window that is the looking glass of our dysfunctional speed debate. Let me remove this looking glass and share with you my own mini speed memoir. For about five years in my twenties, I used “bad” speed. While living in Prague during the late 90s, then, as now, the speed capital of Europe, I snorted the local meth pervitin, which the Nazis once mass-produced in the chemical factories of occupied Bohemia. In Cambodia, I popped pink meth pills called yaba (Thai for “crazy medicine”). When I moved to New York in the early aughts, I dabbled in crystal meth, “as needed.” I did meth for the same reasons and to the same effects that sophomores at Stanford and busy professionals and parents in Bergen County seek scripts for Adderall, Ritalin, and Vyvanse. I did it to work, to compete, to increase productivity. After a day of teaching English or editing an understaffed newspaper, I wanted my energy back to pursue my own work. Also, speed is euphoric and fun. At least it is until that miserable hollowing known as the Crash. Then you’ll do anything to stave the void. One easy way to do this is to take more speed. But you build tolerance. The crashes get worse. After just a week of steady use, I’ve found the demons start to gather, and life begins to lose savor. You start to become just a functioning shell. The first time someone handed me 30 milligrams of Adderall, I wasn’t expecting much. As a connoisseur of crank, I thought it would be closer to the caffeine study pills we crushed up back in the more innocent ‘90s. Isn’t this the stuff they’re giving all those third-graders? How strong could it be? Strong. My first pharma high was on par with any bathtub crank I ever bought in a Bratislava train station. It was just cleaner, with smoother slopes. After my first taste test, I never did “bad” speed again. For the next few years, I bought my “good,” New Yorker-approved speed from the same dealers who once sold me “bad” send-in-the-SWAT-Team meth. Buying Adderall from dealers had two advantages. One, they sold benzos and opiates to help with the crash. Two, the street prices and discreet pick-ups never let me forget that I was buying a hard, addictive drug. Those without prior speed experience don’t have this knowledge to forget. Around 2009, I noticed more friends and acquaintances getting scripts. These people would never in a million years be caught facedown in a caterpillar of street meth, but here they were singing in the rain about Adderall—Kate Miller’s “medicine.” More than one of these people asked me, “Why are you paying $20 a pill?” They suggested doing what they did: take an online quiz, find a friendly ADDA-approved doctor who “gets it,” and get sorted in a doctor’s office. I never considered it. A cheap and limitless supply of pharma-grade amphetamine, signed off by a friendly medical professional, struck me as an incredibly unwise pursuit. That’s how you become a heavy or daily user. The road to tweakdom is paved with Duane Reade co-pay receipts. I’ve since been proved right, sadly, by watching speed hurt people I care about. One of these people, a 24-year-old woman I’ll call Lily, got her first Adderall pill from a friend in high school. A succession of Manhattan psychiatrists happily filled her requests for a script beginning at age 17. She spent her college years in a hyper-productive speed daze, posting good grades and landing a job after graduation. Along the way, her daily dose increased with tolerance. She forgot who she was, developed acute anxiety, and damn near lost her mind, if not her soul. She tried to quit midway through her spiral, but her doctors told her it was dangerous to abruptly stop taking her “medicine.” Instead of taking her off the speed, which she knew was the problem, they put her on Effexor, an anti-depressant and anti-anxiety SNRI. She finally ditched her doctors after having a seizure in a Brooklyn bodega at the end of a long stretch of speed sleeplessness. For those who have never taken speed, it’s difficult to convey the seriousness of a public health disaster—and the depths of its underlying corruption—that results in healthy college students taking 90 daily milligrams of amphetamine salts under blasé doctor’s orders. At 90 milligrams a day, the question is not if the person will eventually experience some form of speed psychosis, but what grade and when. Jack Kerouac and Neal Cassady would have struggled to keep up with today’s Generation Speed. I think adults should have access to speed if they want it, without fear of arrest, as well as free addiction treatment if they need it. The problem begins, and becomes a national scandal and crisis, when socially sanctioned corporate dealers are allowed to dishonestly market these drugs through a sophisticated network permeating the medical establishment, backed by the power of modern advertising. No pimply meth dealer ever tried to tell me his product was a harmless stimulant. No Mexican cartel ever made huge buys in medical journals to corner the market on fifth-graders, or hired pop stars to push their product on young moms on national television. As Adam Levine could attest to, but won’t, speed crashes get deeper and blacker with age. By my mid-30s, my speed use became extremely rare and strategic—an emergency boost reserved for the most-dire deadline situations. I now dread even 10 milligrams of Adderall, that real world “blue,” as a kind of punishment. I’ve also come to see speed as the nemesis of creativity and thought, the ultimate good-little-robot drug. I won’t lie and say I ever flushed anything down the toilet, or that I’ll never take speed again. But it’s been a long time since I bought the stuff. I now stick to the weak classical highs of coffee and tea, which can honestly and without obfuscation be described as harmless stimulants. I also tell people considering a script about Lily’s addiction, anxiety, and seizure. The industry trend lines are stark, and they all point up. She wasn’t the first unrecorded casualty of this new speed crisis. She’s nowhere near the last. Amanda Knudsen contributed to this article.